At Fertility Partnership we will let you try when other clinics will not. 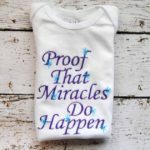 Fertility miracles happen all the time. Almost every day a patient come to me for help in achieving the dream of having a baby and the chances that I can help them are very small. Too many of these couples, I just want to say “it’s too much of a long shot, your chances of success are so low, do you really have the emotional and financial resources to go through this process and fail?.” For some, it would be too much of a blow to their already grief-laden hearts. Others just want a chance. For some doctors, it’s just very easy to know what to say to these couples. If the chance of success is slim or remote then they strongly discourage them from proceeding. While these practitioners may be sparing these couples a likely failure they are also jealously guarding their “success rates”. My own natural inclination is to let the patients know how low the odds of success are but be willing to let them try. There is a risk of giving people false hope when the odds of them getting pregnant and carrying to term are very slim. The dilemma of what to do with advising couples in this situation speaks to the very heart of the two pillars of medical ethics which are based upon Autonomy-right of patients to make their own choice and Beneficence- the requirement of the caregiver to provide true benefit. The American Society for Reproductive Medicine actually has guidelines for these situations and I try to do my best to follow them. In the end, I would never deny a patient a chance to at least take a shot as long as we understand that we may stop the process if we are not making progress. Sometimes it works and they get pregnant. There was a woman from Trinidad was 42 years old or arrived at my clinic. She had no children having focused on her career in business up until this point. An ultrasound and blood test told me that her overbearing reserve was pretty much the bottomed out. Everything else was normal and so was her husband’s sperm. I explained to her that she really needed to think about an egg donor. She told me that she had a clear understanding of and low chance of success that she believed it was going to work and was not only willing but desperate try. She had been denied access to the technology and other clinics. During her IVF cycle, I managed to retrieve only 2 eggs (a very small number) that resulted in one single embryo and that child must be for five years old now. All fertility doctors have stories like this where the odds were so tiny and yet there was a success. And so when I asked myself what was the common denominator between these unlikely triumphs I found a single comments thread. These women absolutely believed in the process. I can even remember times when I would look at them, likely with doubt in my eyes, and they reassured me that this is what they wanted. They were ready for their miracle.